622 West 114th Street Apt 42A, New York, NY 10025 | Sotheby's International Realty, Inc. Rarely available two-bedroom home in the Columbia University/Morningside Heights area offered in estate condition in Revere Hall. 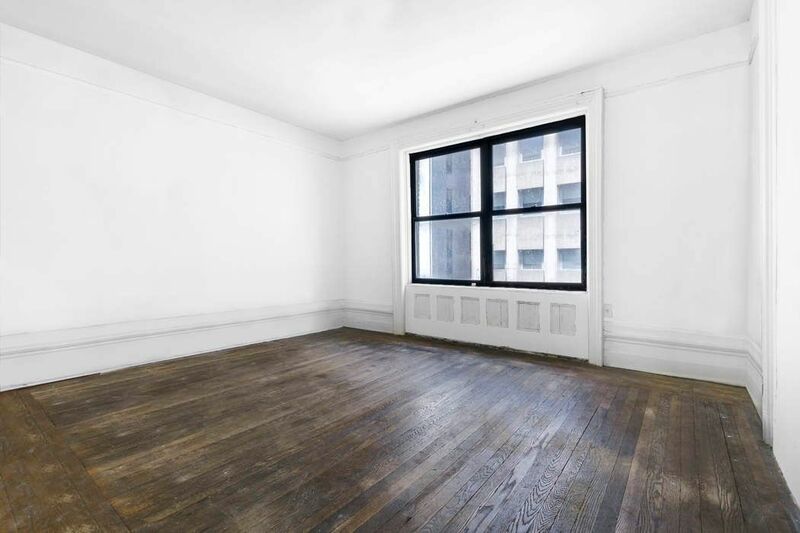 This four-room apartment with its northern exposure awaits your personal stamp – whether you envision a modern esthetic or prefer to restore it to its pre-war grandeur, bring your architect and contractor and let your imagination kick in. 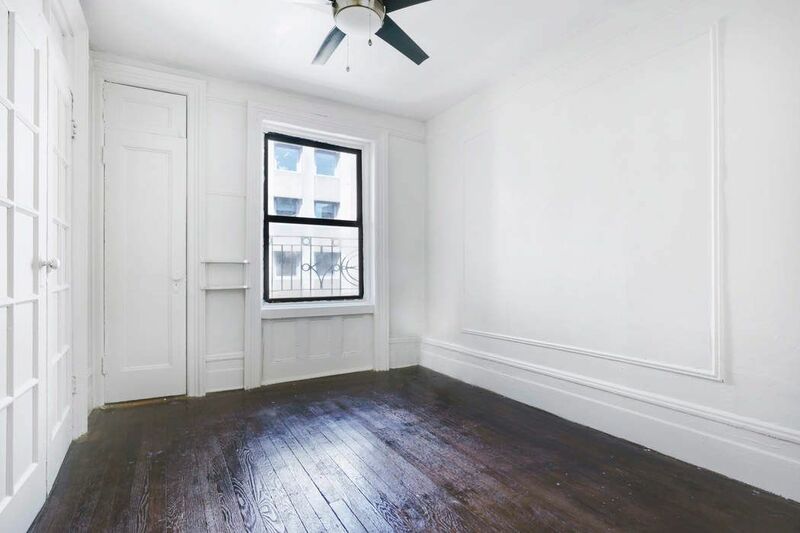 622 West 114th Street is a boutique co-op situated on a quiet, tree-lined street amidst the vibrant Columbia University neighborhood. 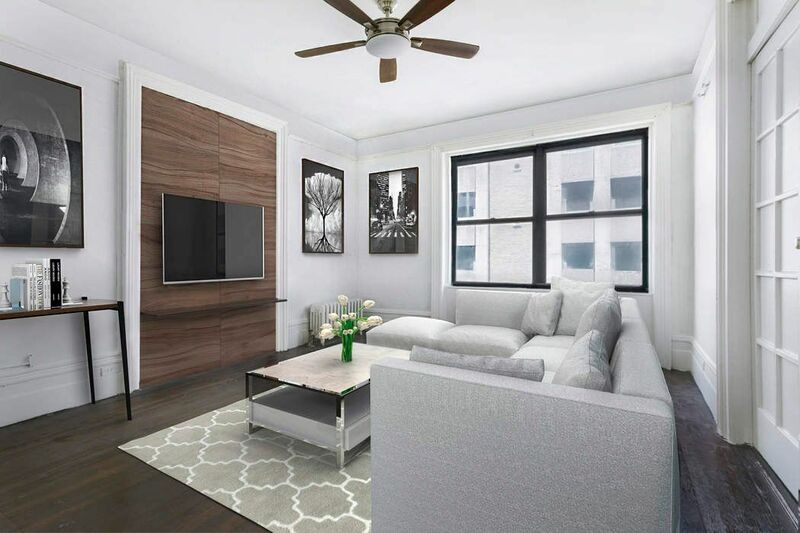 Nestled between the northern tip of Central Park, and book-ended by Morningside and Riverside Parks, Morningside Heights is convenient to transportation, and boutique shopping, great bookstores, and delicious dining are all at your doorstep as well. Revere Hall was built in 1905 by renowned architects Schwartz and Gross. 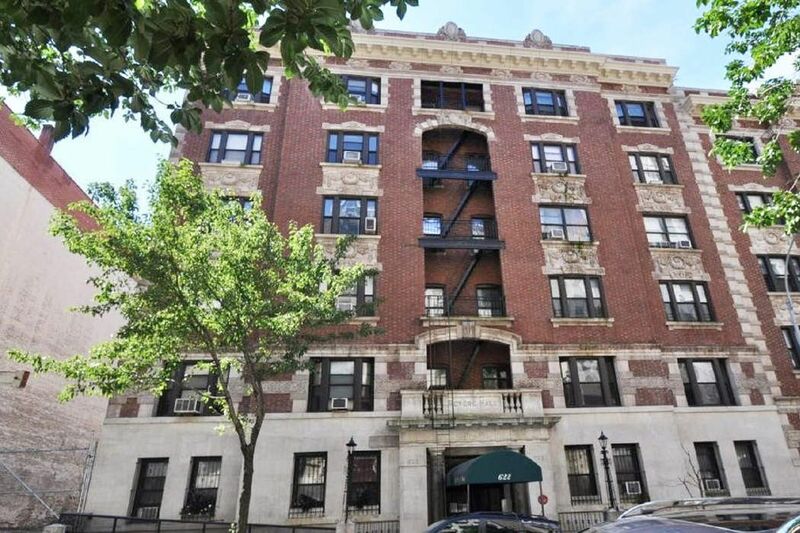 Six stories high with 37 units, this non-doorman, elevator co-op is a classic example of the “H” design wooden frame buildings erected on the side streets in Morningside Heights. A distinctive feature is the marble and tile lobby that is a unique stamp by the architect builders who designed much of the prewar inventory in this neighborhood. Popular rumor has it that President Obama resided here during his Columbia University student days. A Landmarks plaque on the front of the building states that noted Hollywood filmmaker, Cecil B. DeMille, resided here as well. 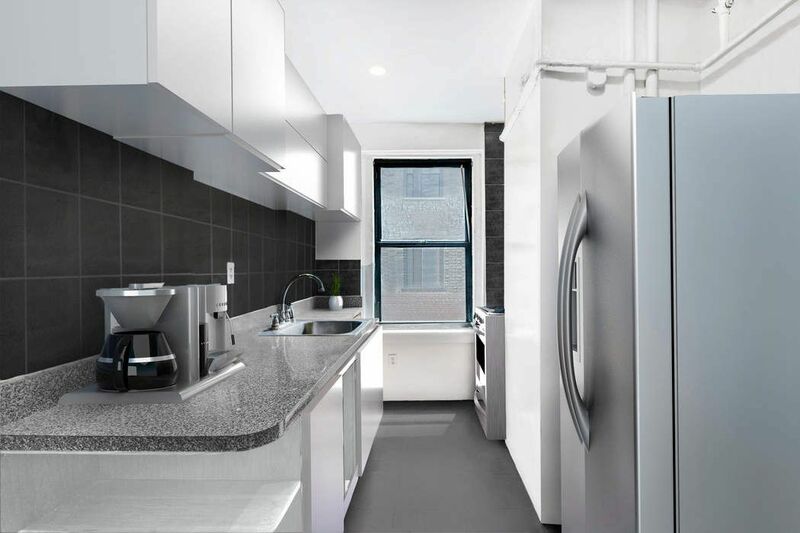 Revere Hall allows for 80% financing, is a non-smoking building and is pet-friendly. Please note the living room, kitchen and bedroom are virtually staged. 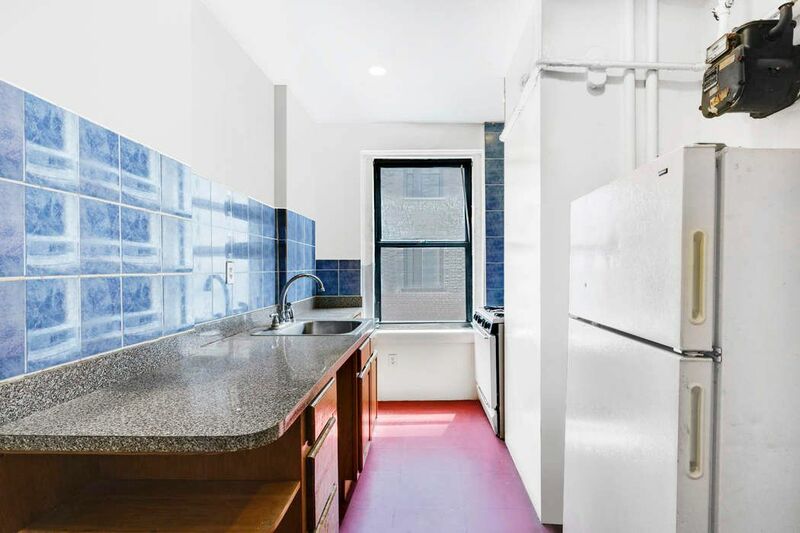 MORNINGSIDE HEIGHTS MAKEOVER Rarely available two-bedroom home in the Columbia University/Morningside Heights area offered in estate condition in Revere Hall. 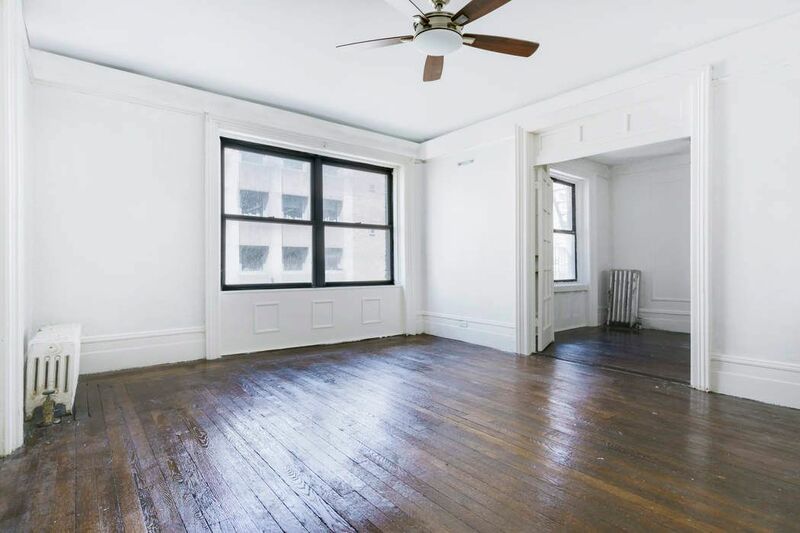 This four-room apartment with its northern exposure awaits your personal stamp – whether you envision a modern esthetic or prefer to restore it to its pre-war grandeur, bring your architect and contractor and let your imagination kick in. 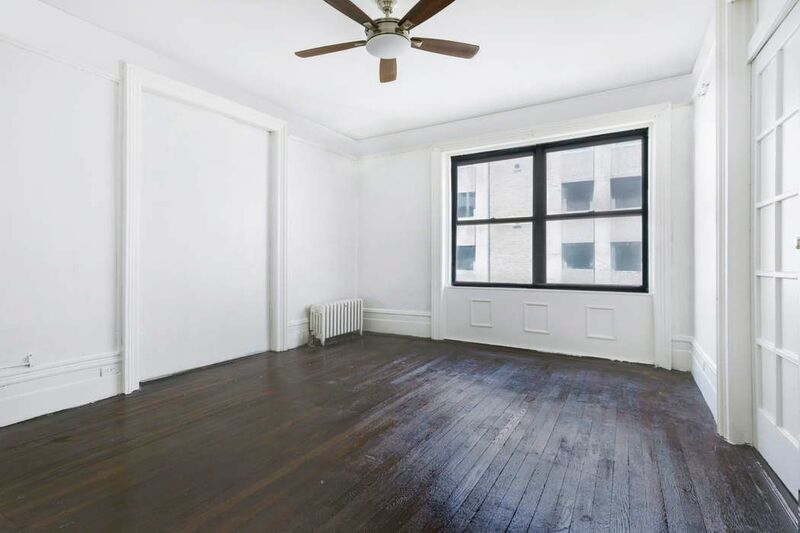 622 West 114th Street is a boutique co-op situated on a quiet, tree-lined street amidst the vibrant Columbia University neighborhood. Nestled between the northern tip of Central Park, and book-ended by Morningside and Riverside Parks, Morningside Heights is convenient to transportation, and boutique shopping, great bookstores, and delicious dining are all at your doorstep as well. Revere Hall was built in 1905 by renowned architects Schwartz and Gross. Six stories high with 37 units, this non-doorman, elevator co-op is a classic example of the “H” design wooden frame buildings erected on the side streets in Morningside Heights. 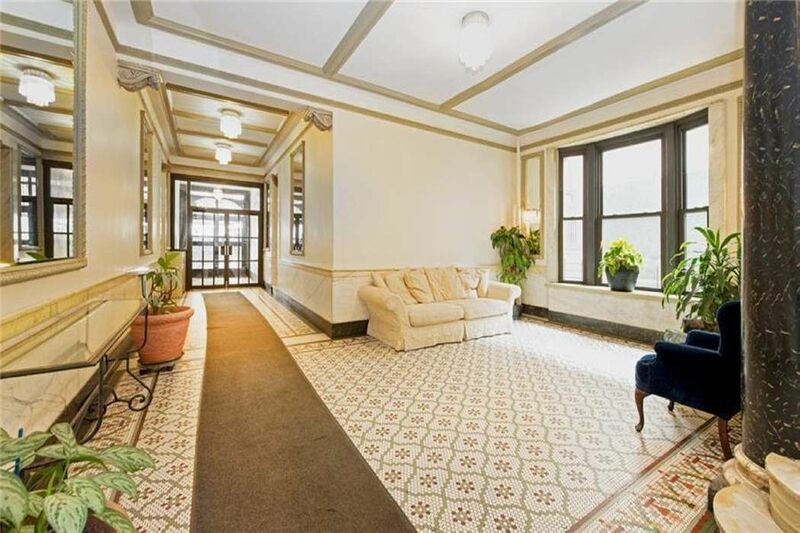 A distinctive feature is the marble and tile lobby that is a unique stamp by the architect builders who designed much of the prewar inventory in this neighborhood. Popular rumor has it that President Obama resided here during his Columbia University student days. A Landmarks plaque on the front of the building states that noted Hollywood filmmaker, Cecil B. DeMille, resided here as well. 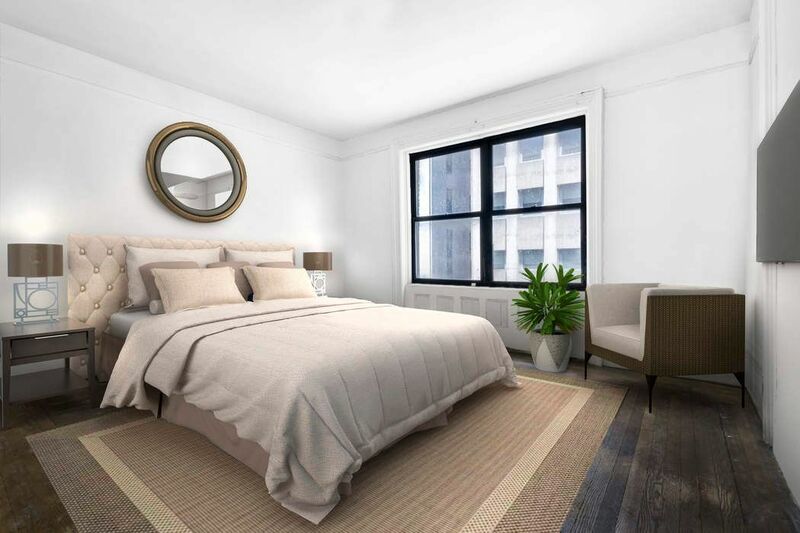 Revere Hall allows for 80% financing, is a non-smoking building and is pet-friendly. 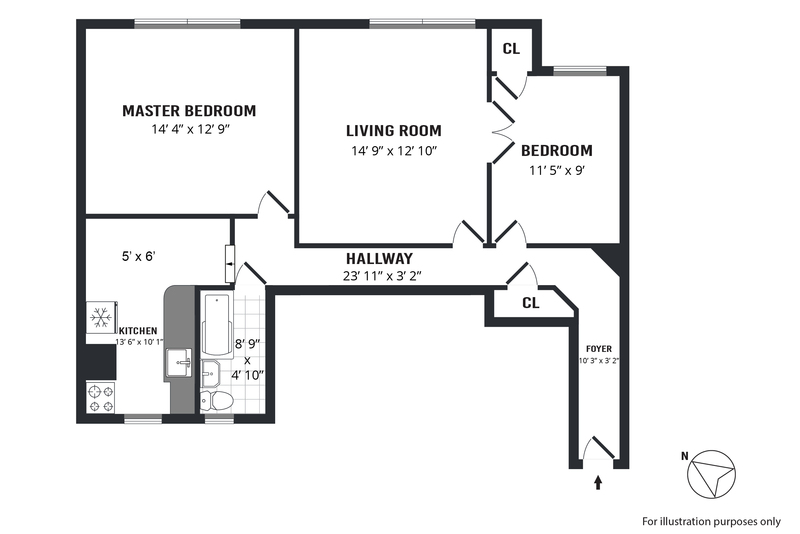 Please note the living room, kitchen and bedroom are virtually staged.